A well-deserved trip into the mountains! 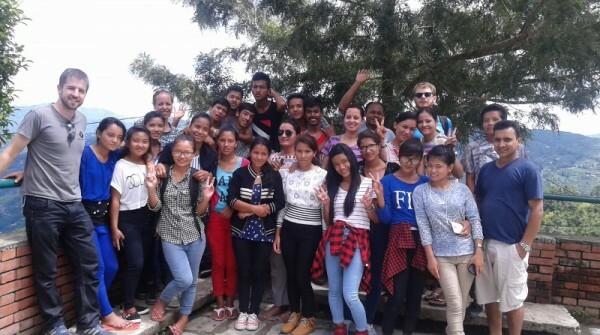 As the youth had finished up their SLC exams they were treated to a great couple of days in Dhulikhel. Many songs were sung and many miles were hiked. Congratulations to them on overcoming one of the toughest years in Nepal’s history and still managing to sit for their exams. Great job! Eighteen youths sat the SLC this year and sixteen of them were able to pass on their very first try. At the school the children attend we were proud to have two of the top three scores; including the highest one in the entire school! Four of the group passed with distinction. Now they will move on the be a part of Umbrella’s Next Steps Youth and Education Programme where they will learn the skills to help them live independently as they move into adulthood. 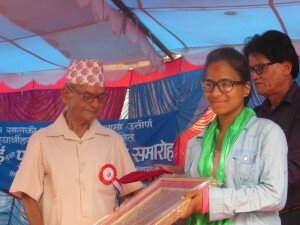 Read more about the NSYEP programme here: http://umbrellanepal.org/next-steps-youth-education-programme/ . Next year we have eighteen children sitting for the SLC and we know they will do just as well. Again, congratulations to all of you!! Juma collects her SLC first place plaque. The youth who are currently in the NSYEP have also been very busy with their studies, jobs, and numerous workshops organized for them by Umbrella. They have done everything from career workshops to learning about reproductive health. 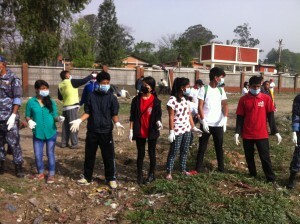 Some of the youths have been participating in the clean up of the Bagmati River here in Kathmandu. Others have tutoring jobs to help earn a bit of extra money while they are in school. While still others hold catering jobs along with their studies. They all recently did workshops on how to interview for jobs and then sat for practice interviews. A sometimes nerve racking process that they all excelled at. As always, they are working hard to balance their studies, work, and trying to have a bit of fun. Youth help with Bagmati River clean up.